You guys are the best, so we make sure to keep adding new features as a thank you for being so awesome. We’ve been hard at work over the last couple of weeks and wanted to share what we’ve been doing. And I know you think we’re perfect (don’t laugh), but we did find some bugs. Here’s what we updated. Did a random nerf gun fight just break out in your office just as a chat came in? Not to worry! If no one on your team responds to a chat quick enough, you can set a time limit that triggers the email form to pop up so you are able to still capture that lead. Priorities people. Stuck in a meeting and forgot to set yourself unavailable? Happens all the time. 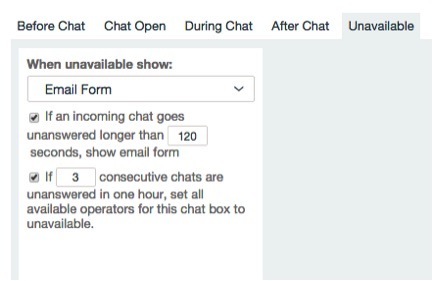 Now, if you have X amount of chats go to the unavailable email before responding, you can enable this feature to automatically set everyone unavailable until you are able to return to your dashboard or mobile app. To get the most out of a lot of Zapier integrations, the Company field is required or helpful. Since we like you guys, we added a Company field to the chat details panel in chats as well as giving you the option to ask them to provide that information before starting the chat. WE DID IT! We found that annoying bug so many people hated, (including us) where the browser tab randomly fed you a bowl of lies saying there was an incoming chat when there wasn’t. For those of you spying (eavesdropping) on your peers because you think you are James Bond, you are now correctly kicked out of the chat if/when it gets re-queued. Did you know you could edit the chat details in the Transcript even when the chat is over? If not, just ignore the fact that it didn’t use to save those changes. Nothing to see here. 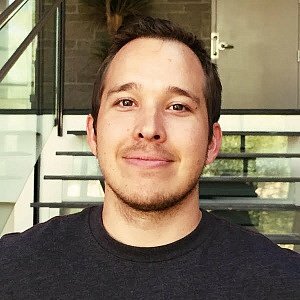 What good is it to ask your webmaster to setup the custom button feature when we don’t even provide our button class in the email we send to them? I blame Tequila Tuesday on that omission. Adding a canned response to a message you already started doesn’t delete everything you typed now. When you downloaded a transcript, it wasn’t bringing over the IP address field. Oops. We fixed where fields would merge together in transcripts while using smaller screens. I guess providing everyone with larger monitors would have been too expensive to implement. Clicking the minimize button on a chat box that uses the Popout Automatically feature doesn’t permanently hide the chat box from you anymore. You guys apparently weren’t a big fan of our hide and seek experiment. For those of you who set up Pure Chat in WordPress or Shopify, the website verification step now works. 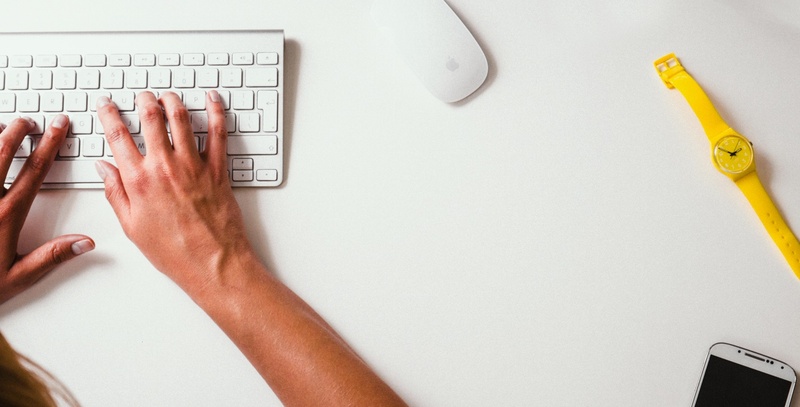 You can finally complete your onboarding checklist. Sorry. Daily Stats Reports can be turned on from the Profile Settings section and not from the Manage Team section (where nobody would expect to find them). We forgot to tell you awesome users outside of the U.S. that you need to add the ‘+’ symbol and your country code in order to activate the SMS notification feature. We made that more clear. I guess we were expecting that you could just read our minds. There were other minor bugs that we fixed, but if I list any more bugs, you may think Pure Chat is falling apart and that the sky is falling. We promise all is okay. NextBootstrap vs. Seed Money: Which Type of Growth is Right for Your Startup? Hey Nick! More updates are on the way. We won’t stop now! The scheduling tool is due for an upgrade and when we tackle that feature, you can bet on us allowing you to set different availability times each day. Already on the list! If you’re looking for anything else, just shoot me over a chat on our website! Thanks so much for the update! Still so many more extra features I would love! More detailed reporting like being able to see where the majority of users come from etc and sort by weeks/months to track changes over time. Plus branding on the pop out windows. Hi Jess! We want to keep adding new features as well. 🙂 We have big plans for the reporting tools and metrics. I have been bugging the development team to add a monthly column to the statistics page for a while now. We WILL win this battle! Better searching and more reporting metrics are on the roadmap and we can’t wait to add all of these cool things to the product. I’d be curious to pick your brain a little further on what kind of branding you are looking for on the popped out windows. We do offer unbranded chat boxes on the Growth plan. Let me know and I’ll add it to the list! Thank you for the feedback!